Actually, the eulogy is for Stafford Repp, the veteran character actor who portrayed Chief O'Hara in the campy 1960's television show and movie. Stafford, who was my father's first cousin, was in hundreds of television and movie roles over his career, and died young in November, 1974. I remember meeting him just one time. He lived in the Los Angeles area and our family in the San Francisco Bay Area. He and my grandfather (Stafford's uncle) Mervyn Raphael Marks were spitting images of one another. Stafford was unique. No one else was quite like him. He had many talents - a gifted actor, a fine singer, and a wit, but most of all, he had a gift for friendship. Like Will Rogers, he never met a person he didn't like or who didn't like him. He was never heard to say an unkind word about anyone. Where most of us see only the faults, he was blind to these and saw only the virtues. His friends were many and from all walks of life - from race track gamblers to TV stars, the most ordinary and the most famous, to him they were all the same, his friends. He was generous to a fault and never refused to help when help was asked. He was gentle and kind, compassionate as few men are. He was human, of course, with human faults and virtues, but his virtues were many and his faults few. His temper was short but quick. His explosions of anger were brief and his contrition long. Stafford loved life. He ate and drank and worked and played with gusto. 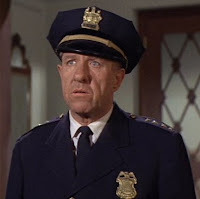 As Chief O'Hara in "Batman", his face was familiar to children all over the world, and that was as it should be because there was so much of the child in him - the happiness he found in the smallest pleasures, the total honesty, the innocent trust. He was a loving son, a devoted brother, an adoring uncle, a good husband. The last day of his life was perhaps one of the fullest. He had what an actor always hopes for, a good role. This one in "Mannix" was a physical and emotional challenge. And like the good trouper he was, he finished the job that very day. And a rare occurrence, his wife was on the set watching the filming. It was their fourth anniversary. Then, later, he was at the place he always loved, Hollywood Park. And there he died the way he always said he wanted to - at the track with a winning ticket in his pocket. God tapped him on the shoulder and in Stafford's own words, "It was post time at the big race track in the sky." We should not weep for him. His life was not as long as we would have wished, but it was full with success, with fun, with friendship, with love. We weep for ourselves for the loss of a friend, an uncle, a brother, a husband. We weep for the void he has left in our lives. 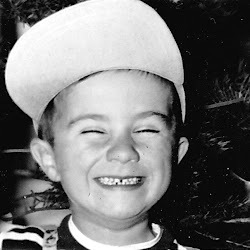 But we also remember how he brightened each life that he touched, and we will cherish that memory forever. I’m second generation Irish in the UK. As a child on trips to Dublin in the 1960s, this man was amazed at how startlingly similar in expression Chief O’Hara and the Dublin Gardaí were. He could have been drafted right off those streets to Gotham city. Surely some Irish blood in him ? Actually - no Irish blood. His ancestors on his father's side were all from Germany or Switzerland. It is not known what the ancestry of his grandmother on his father's side Mary Stafford is. For sure everyone on his Mother's side are from Germany/Prussia. Good Lord, that was quick ! One lives in the town of Gloucester. Stafford is up the road, so to speak. The county town of Staffordshire (Abbrv ‘Staffs’). It’s also on the main rail line to the north, and is used by this man for a cigarette break and a walk around. Incidentally, am watching a rerun of Batman for the first time in 44 years. And in glorious colour. It was all monochrome TV sets back then.